So when there was an opportunity to try this at our November Whisky Ladies evening, who could resist? Nikka’s two distilleries – Yoichi and Miyagikyo have a serious yin yang thing going on… The peaty Yoichi‘s are quite masculine whereas by contrast Miyagikyo’s whiskies tend to be quite delicate, nuanced and light. The funny thing is even after all the conversation and all the exclamations, is it a ‘wow’ whisky? No. But definitely very interesting. 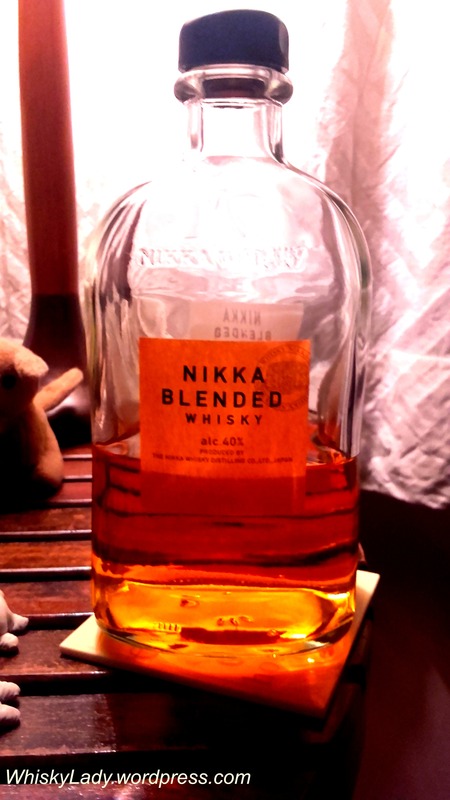 This entry was posted in Beyond Scotland, Japan and tagged Japanese Whisky, Miyagikyo, Nikka, Nikka Blended Whisky, Yoichi by Carissa Hickling. Bookmark the permalink.